This Act may be cited as the ‘Space Preservation Act of 2002′. SEC. 3. BAN ON BASING OF WEAPONS IN SPACE AND THE USE OF WEAPONS AGAINST OBJECTS IN SPACE IN ORBIT. The President shall– (1) implement a ban on space-based weapons of the United States and the use of weapons of the United States to destroy or damage objects in space that are in orbit; and (2) immediately order the termination of research and development, testing, manufacturing, production, and deployment of all space-based weapons of the United States. SEC. 4. INTERNATIONAL TREATY BANNING SPACE-BASED WEAPONS AND THE USE OF WEAPONS AGAINST OBJECTS IN SPACE IN ORBIT. The President shall direct the United States representatives to the United Nations and other international organizations to immediately work toward negotiating, adopting, and implementing an international treaty banning space-based weapons and the use of weapons to destroy or damage objects in space that are in orbit. The President shall submit to Congress not later than 90 days after the date of the enactment of this Act, and every 6 months thereafter, a report on– (1) the implementation of the ban on space-based weapons and the use of weapons to destroy or damage objects in space that are in orbit required by section 3; and (2) progress toward negotiating, adopting, and implementing the treaty described in section 4. SEC. 6. SPACE-BASED NONWEAPONS ACTIVITIES. Nothing in this Act may be construed as prohibiting the use of funds for– (1) space exploration; (2) space research and development; (3) testing, manufacturing, or production that is not related to space-based weapons or systems; or (4) civil, commercial, or defense activities (including communications, navigation, surveillance, reconnaissance, early warning, or remote sensing) that are not related to space-based weapons or systems. (A) firing one or more projectiles to collide with that object or person; (B) detonating one or more explosive devices in close proximity to that object or person; (C) directing a source of energy against that object or person; or (D) any other undeveloped means. by Rep. Dennis Kucinich as HR 2977 has been re-written. 3616 are more than just a few tweaks here or there. 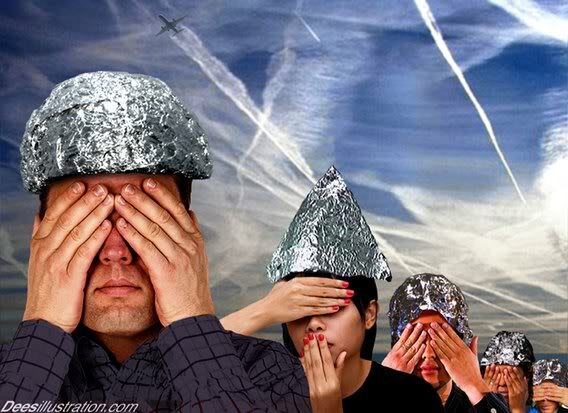 spraying going on in the skies of America for the past three years. as weapons systems covered in the measure. himself standing under a big ‘X’ and feel his knees get a little wobbly? living organisms on the planet. VTRPE warfare system is raised. VTRPE weapons system may fall in the area covered by HR3616. follow-up call again this week. We suggest others do the same. their Congressional Representatives, keep it up. ~ by mindcontrolinsweden on September 7, 2013.